First road rear derailleur that can cope with an 11-32 cassette. 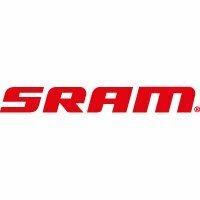 'SRAM again raises the bar on rear derailleur performance with the new Exact Actuation Apex Rear Derailleur. The Apex Rear Derailleur represents the same design philosophy that has delivered our best in class products for the road market. Features include our new precise Exact Actuation ratio that offers the widest range of adjustment coupled with a precise geometry to create market leading 10 speed performance.